Plot Summary: After young man Atsushi Nakajima saves a man from his wish of suicide, he and his friends join the “Arms Detective Company,” a league of literary figures that also harness special powers. 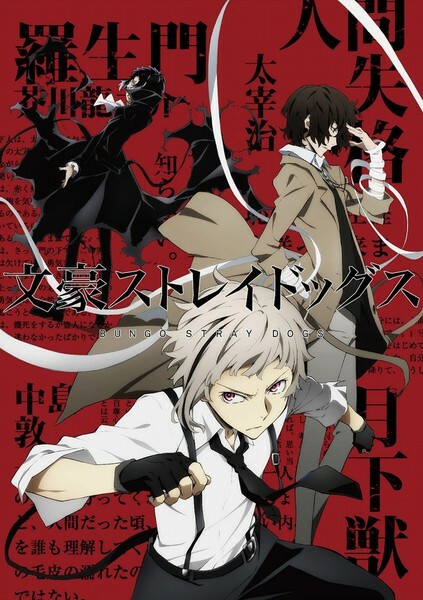 Plot Summary: Dazai Osamu, once became a member of the gifted (with abilities) underground group, Port Mafia together with Ango and Odasaku. Days later, Ango went missing, and Dazai began investigating. And he later on knew that the case is related to the illegal group Mimic. In the main storyline, the rivalry between the two gifted groups, Detective Agency and Port Mafia continues and an international group called Guild joined the strife. Guild is a group who is in search of Atsushi Nakajima and gave a bounty of 7 billion yen.